Once a month, Bisong Art Gallery is transformed into an art class. Bring your favorite beverages, relax and let your creativity flow with a few of your closest friends or come alone and meet new friends. 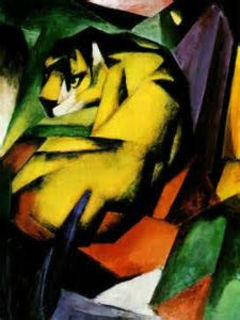 In September, you can create your own version of "Tiger" by Franz Marc. Award winning local artist Tyler Kay will help you recreate this masterpiece; no experience required.